An experienced professional with over twenty years in government, nonprofit and corporate program and business development, Ms. Charlotte Kea has accrued a strong track record of results-oriented successes. These include: securing over $19 million in assets US and non-US, managing and implementing multi-country, cross-sector agreements, strategic planning and partnership development. With strong leadership, multi-cultural and communications skills, she brokered bi-lateral agreements with the governments of the Russian Federation, Mongolia, Pakistan, and administered business agreements in the Ukraine, Kazakhstan, Germany, and Italy among others. Charlotte has held senior positions, including working to establish Iridium LLC and eight years in the international divisions of US Department of Commerce, NASA, and the Congressional Research Service. She currently serves as Acting Director of the Office of Gifts and Grants Management at the Peace Corps. This office administers over $3 million in private sector donations and manages the agency’s Small Grants Program including the Peace Corps Partnership Program which supports community-based development projects in over 65 countries where Peace Corps Volunteers serve. 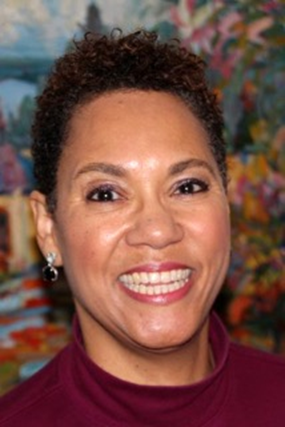 Charlotte was appointed in 2008 as President of the Smith College Alumnae Association and a Trustee of Smith College. She serves on the Board of Operation Respect, is President of the International Career Advancement Program Alumni Association, and is a member of the Council on Foreign Relations and the Smith College Club of Washington. She holds an MA in Soviet studies and Global conflict from the University of Denver, a BA in French from Smith College, and studied at the University of Geneva in Switzerland and at the University of Paris, Sorbonne IV in France. She speaks Danish, French, and Russian.